Chinese fighter, Tiequan Zhang, will be making his return to the Octagon against featherweight, Darren Elkins, at October's UFC 136. A 12th bout has just been added to October’s “UFC 136: Edgar vs Maynard III” card. UFC officials recently announced that featherweights – Darren Elkins and Tiequan Zhang – are set to meet on the upcoming event, which is expected to take place at the Toyota Center in Houston, Texas on October 8. The night’s main card, headlining the lightweight championship match-up between Frankie Edgar and Gray Maynard and featherweights Jose Aldo vs. Kenny Florian, will be aired on pay-per-view; while Elkins vs Zhang will be featured on the evening’s un-televised preliminary card. The event is also reported to go along with a 2-day UFC Fan Expo, which will be held at the George R. Brown Convention Center. 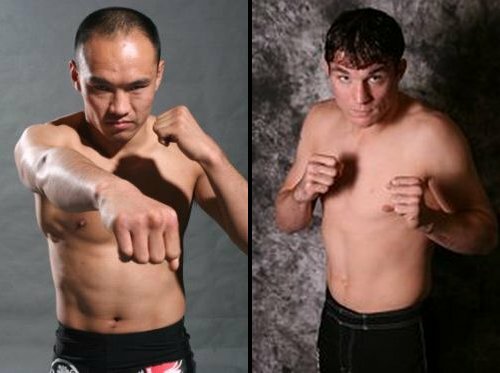 “China’s best prospect, Tiequan Zhang, makes his return to the octagon versus the always-tough Darren Elkins at UFC 136,” UFC president Dana White affirmed. Darren Elkins (12-2 MMA, 2-1 UFC) will now return in the Octagon after defeating world-ranked featherweight, Michihiro Omigawa, through a controversial unanimous decision at UFC 131. The June event has placed the former at the victory column, though Dana White admitted that he expected the latter to win the match and would pay the fighter his win bonus. Tiequan Zhang (13-1 MMA, 1-0 UFC), on the other hand, has just won his previous career bout under the UFC last February 27, 2011 at UFC 127. “The Mongolian Wolf” finished Jason Reinhardt through a guillotine choke just less than a minute into the first round. Prior to the victory, Tiequan Zhang fights under the WEC, wherein he obtained a submission win over Pablo Garza and a unanimous decision loss to Danny Downes.